One problem facing the new swathe of progressive rock bands is how to update the genre and carry it forward. Some bands don’t even attempt an update, and simply mimic the sounds of the ’70s, with varying degrees of success. But a few noble bands stretch out into the unknown, forging a new path. 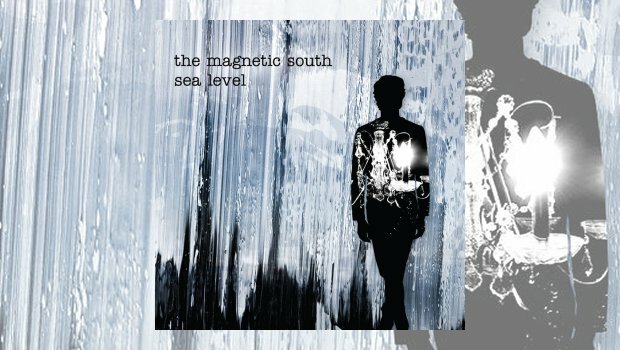 One such band is The Magnetic South, formed in Los Angeles. Blending heavy riffs, grungy guitars and the choicest of drum samples, their debut album Sea Level is a fascinating compromise between the bleak expanse of post-rock, and the structure and style of modern progressive music. Odd time signatures aren’t on display here, as the band focuses on painting dark ambient landscapes. The grungy effect was actually heightened the first time I listened to the album. I was a full five minutes into Porcelain Branches when I realised the low-fi quality wasn’t intended: the signal between my Bluetooth speaker and my laptop was terrible. Interestingly, however, the band does employ a low-fi effect on the penultimate track, Faceless. Needless to say, the album is great whatever quality you hear it in, as the strong riffs drive the songs. As a drummer, I’m normally averse to drum samples in music, believing it’s putting good drummers out of work. That said, the way the samples are used on these tracks is quite ingenious. Faceless, for example, features a biting, mechanical drum sample that peculiarly drops to zero decibels for a split second before repeating. The clinical effect is quite jarring, so obviously manufactured, and yet so obviously built for the purpose. Zombie Death Grip features a drum cycle as well, based on a repeated snare pattern, like a marching drum. In the latter half of this song, the ambient droning sound and the relentless drums roll on for several minutes, quite hypnotically. Other songs see different kinds of musical ingenuity. Sunrise and Gravity shows an effective use of the bass guitar, left to undulate solo between blasts on the drums and guitar, and finally grunging by itself before the outro. The anthemic closing title track features a fantastic guitar riff, that plays at odds with the bass and drums, forming a polyrhythm. But the heart of this album is the chugging heavy riffs that have made bands like Godspeed You! Black Emperor so beloved. If you play few solid chords well, with the right timbre and the right accompaniment, you will begin to make some epic-sounding music. It’s a formula that works. Fortunately, The Magnetic South are able to see beyond the formula to add their own touches. This album sounds superb cranked up loud, and that’s why you should check it out today.